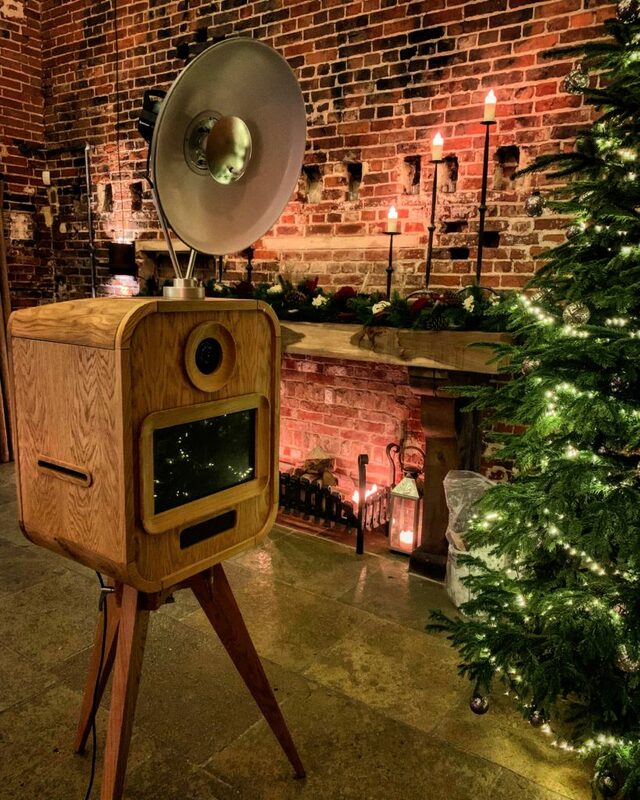 Following the huge popularity of our Wood RetroPod we knew it was time to add another Photo Booth to our collection. When we discovered this beauty we were smitten! 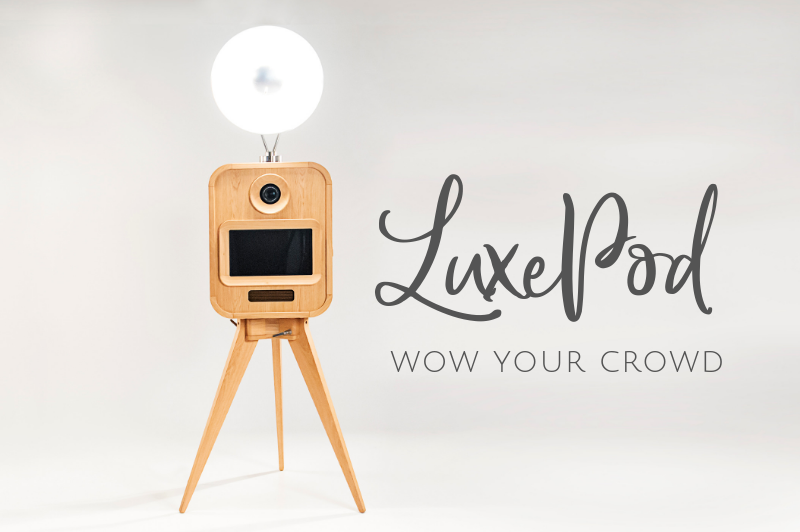 Just arrived, we’ve named it the LuxePod, which fits perfectly alongside our other Pod photo booths! We had searched all over the world for our next Photo Booth; so when we discovered this one just up the road it seemed like it was meant to be! Seeing the craftsmanship that has gone into producing this booth meant we could see how this is the perfect addition as our luxury photo booth experience. Everything about the LuxePod just oozes style and sophistication. The LuxePod looks amazing and will really add the wow factor to any venue. It’s actually more like a piece of furniture than a photo booth. Until we first saw it up close rather than in photos we never realised just how impressive it would be. 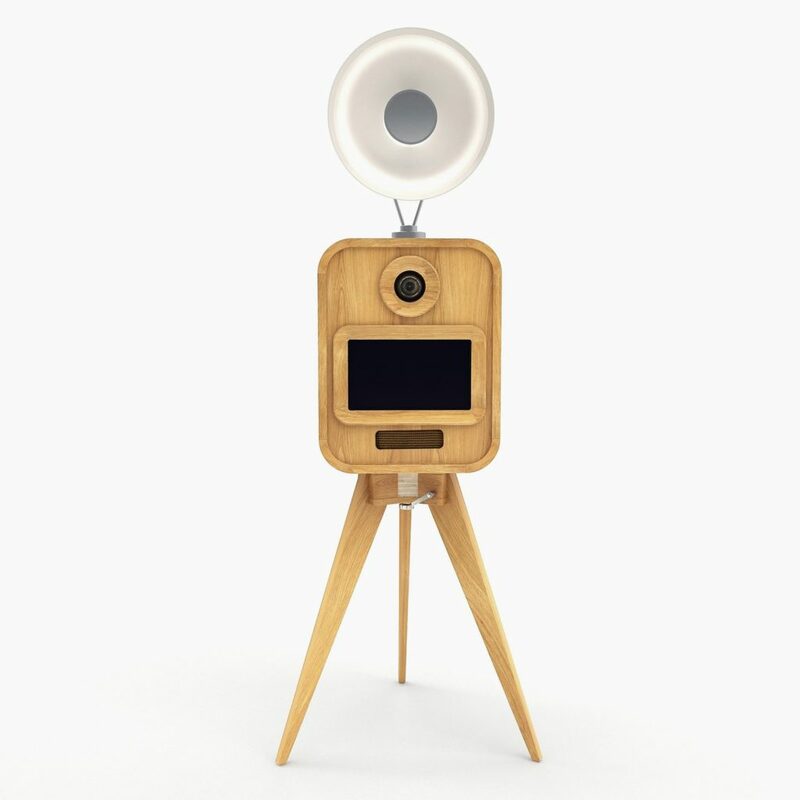 Due to her solid wood design she stands a little larger than the BoothPod and RetroPod; yet still remains compact with the photos and printing all happening inside. Like our other open style photo booths, the LuxePod can be paired with one of our stylish backdrops. We have a huge range to choose from! We are very often asked to use fabulous feature walls within the venues that have been so carefully chosen by our clients. So if your venue has a gorgeous brick wall or cool wallpaper ask us if this will work for your images. The LuxePod comes with a new feature not found on our other booths. It has a rear touchscreen for easy viewing and sharing of photos right there at the event. Guests can email their images to themselves or just simply browse everyone else’s photos! As the sharing screen is on the back of the LuxePod, this keeps the front free for more photo taking! If you’re looking for a high end photo booth experience for your wedding that will really wow your crowd then the LuxePod is for you! 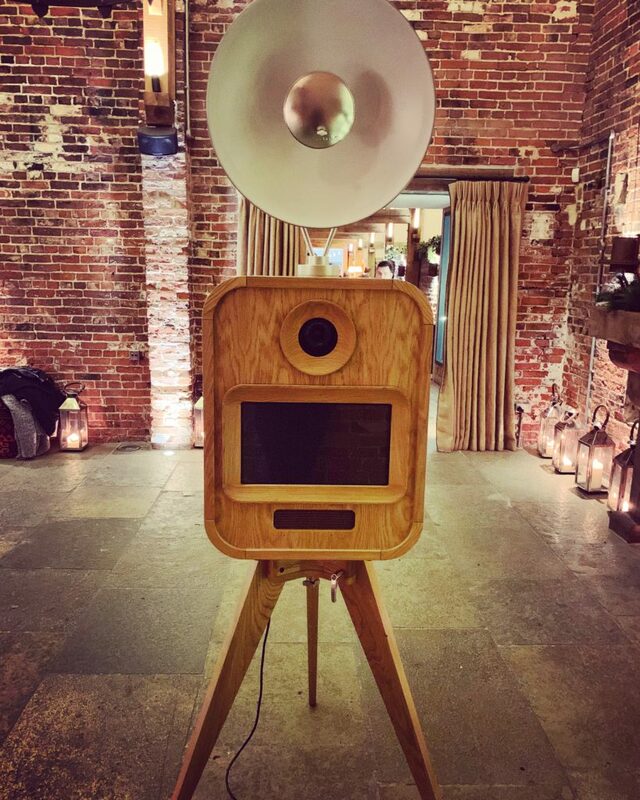 In fact, we chose the LuxePod because we know how fabulous it will look in many of the venues we already go to regularly, including Swancar Farm Country House, Hazel Gap Barn, the West Mill and Haarlem Mill to name just a few! So whether your venue is rustic in style or a chic urban spot we know this design led Booth will be an attention grabber! If you’re looking for a luxury photo booth experience for your wedding or special event please get in touch. With our extensive knowledge of the wedding and events industry we can help advise on the best way to style your photo booth experience, including backdrop choices and print design options. We can also collaborate with your existing suppliers such as florists to customise your backdrop. If you need any recommendations we can help with that too. If you’d like to have the LuxePod be a part of your celebration, get in touch with us and tell us about your plans!